Baby Loves Part 2 | Live. Learn. Love. Eat. As promised for those who are following my vegan pregnancy, here is a post dedicated to what I am feeding myself and my baby to stay healthy during my second trimester. If you missed the first trimester post you can read it here. I have felt a whole lot more energetic this trimester and have started walking daily again. I started out doing 20-30 minutes (about 2 1/2 miles) and am now up to an hour long daily walk (about 4 miles). I have also been doing Shiva Rea’s Prenatal Yoga a few times a week and Summer Sanders Prenatal Workout here and there. My energy is definitely up again and I feel great! I have been eating a lot of peanut butter again and apple butter too. 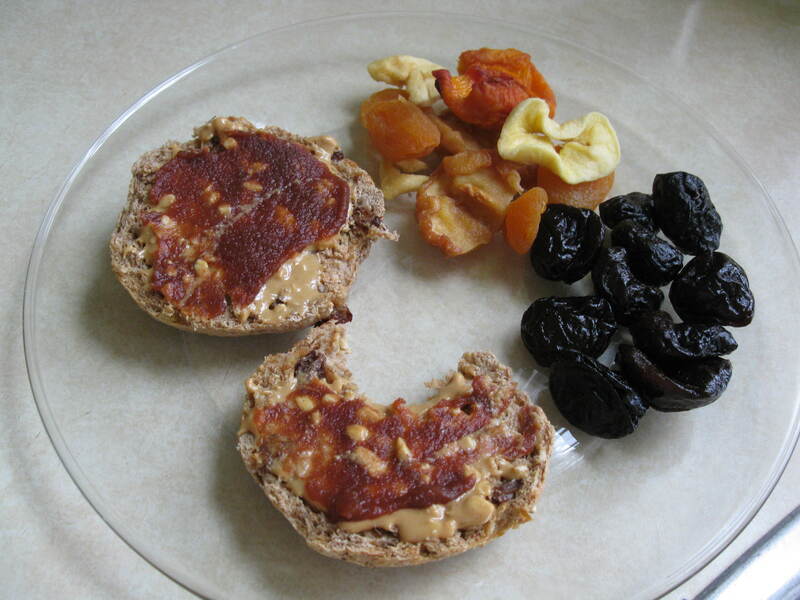 I like to spread some natural PB and some apple butter on a cinnamon raisin Ezekiel English muffin or whole grain toast and have some dried or fresh fruit on the side. Tons and tons of fresh fruit is another thing I have for breakfast. 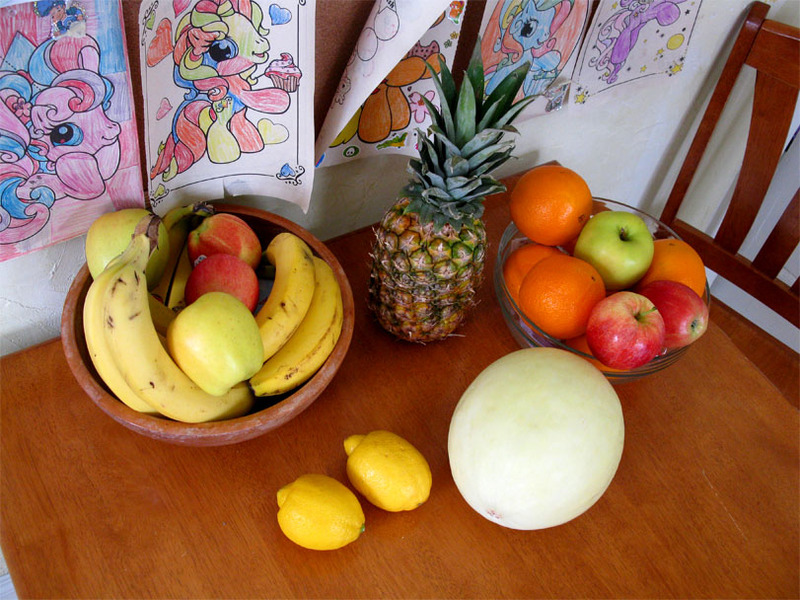 I usually have fresh fruit (melons, pineapple, berries) cut up and eat a fruit salad or I’ll often just have apples or bananas, especially when mornings are rushed. 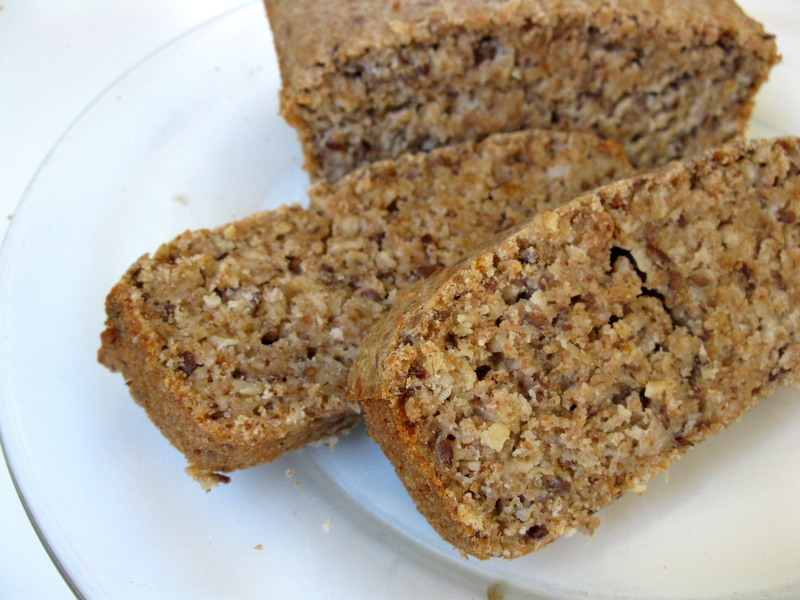 Spelt, Flax and Oat Quick Bread – This bread is great with a bit of vegan margarine and jam. It is slightly sweet and very hearty. A great breakfast bread. 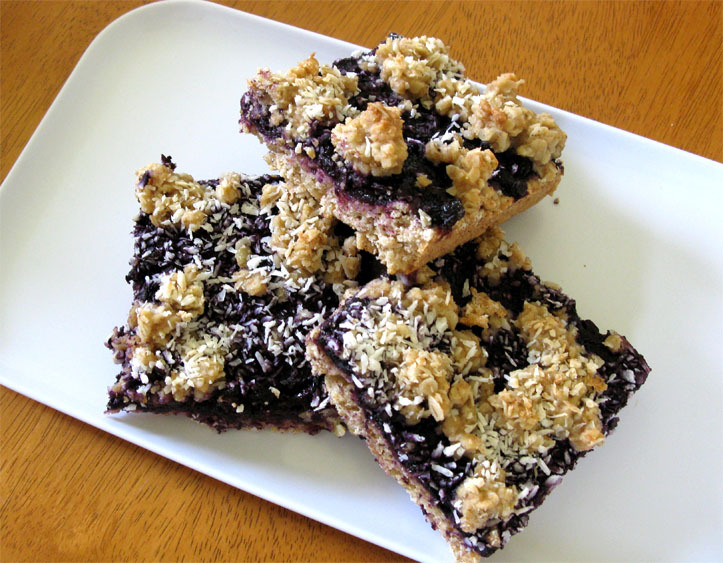 Maple Oatmeal Blueberry Breakfast Squares – This is a healthy recipe I came up with that is loaded with goodness. You can even make these strawberry or raspberry squares as well. They are great with a glass of non-dairy milk. 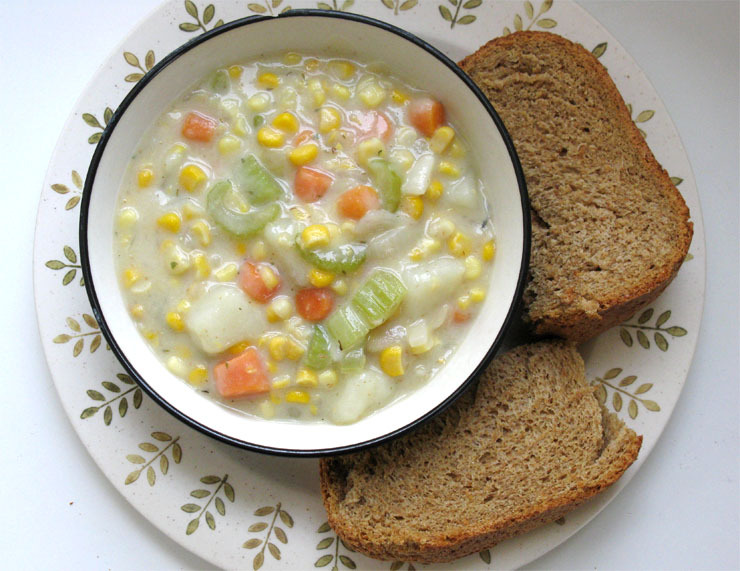 Creamy Vegan Potato and Corn Chowder – This soup is so yummy and hearty too. Made with potatoes, carrots, celery and corn it is so delicious! Especially served with whole wheat bread. 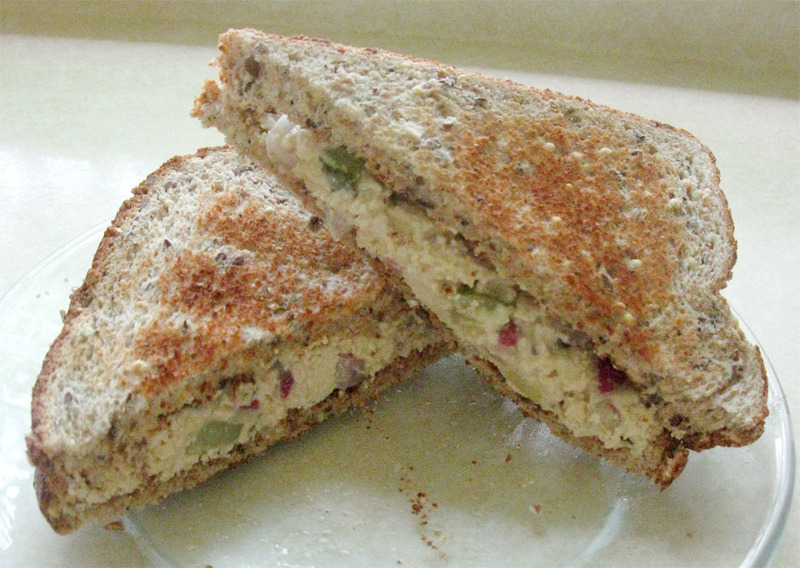 Tofu Salad Sandwiches – This is always a favorite food around here. I make a recipe of tofu salad and we have it on toasted whole grain or Ezekiel bread and fresh vegetables. 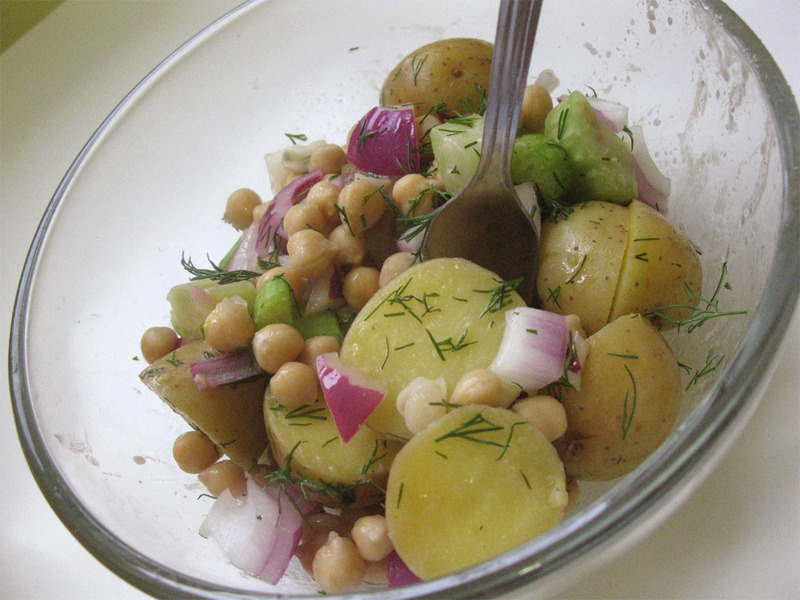 Mustard-Dill Chickpea Potato Salad – Another yummy favorite. This is a simple recipe that keeps well in the fridge for a few days. I like to have meals on hand that are convenient. 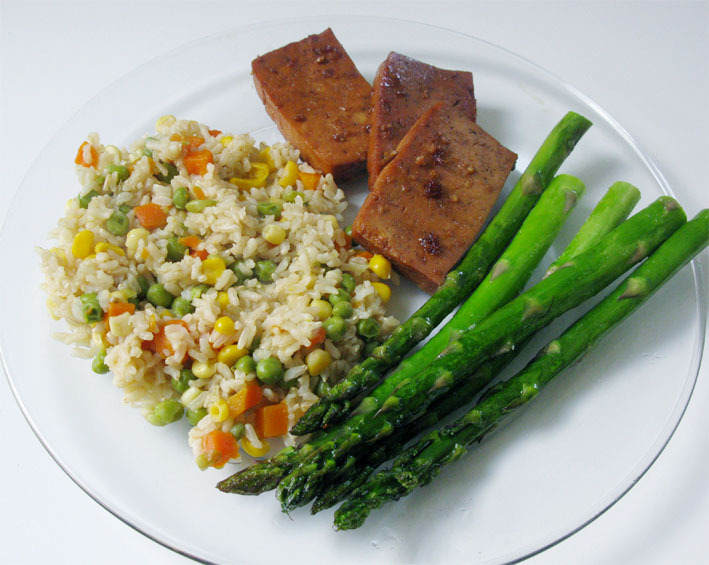 Teriyaki Tofu with Very Veggie Rice and Roasted Asparagus – Lately we have been eating a lot of tofu recipes, simply because they are simple and make a well rounded meal when paired with a grain dish (rice, quinoa or barley) and a vegetable side. I especially love this rice! Pineapple Ginger Stir-Fry with Brown Rice or Quinoa – Veggie loaded stir-fry’s are a very healthy meal. 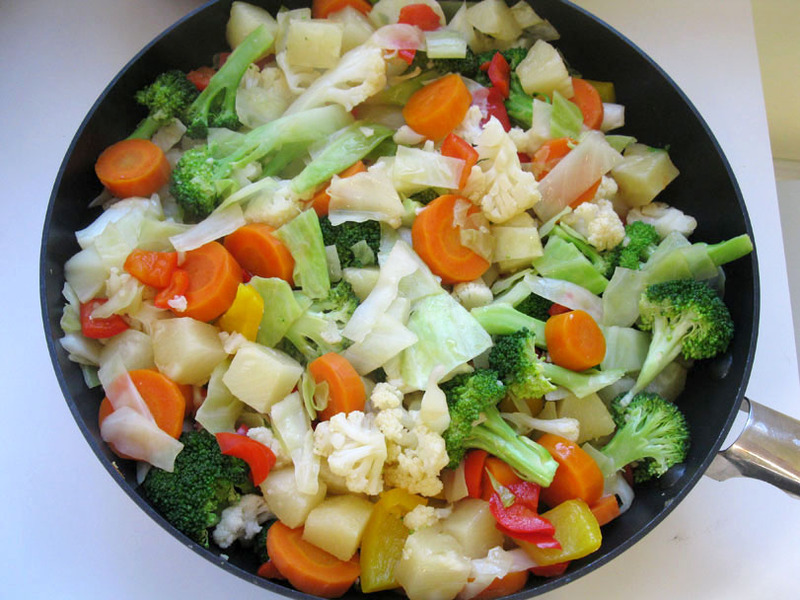 I usually use peppers, carrots, cabbage, broccoli and cauliflower. This recipe for pineapple ginger sauce is simple to prepare. Serve with brown rice or quinoa. 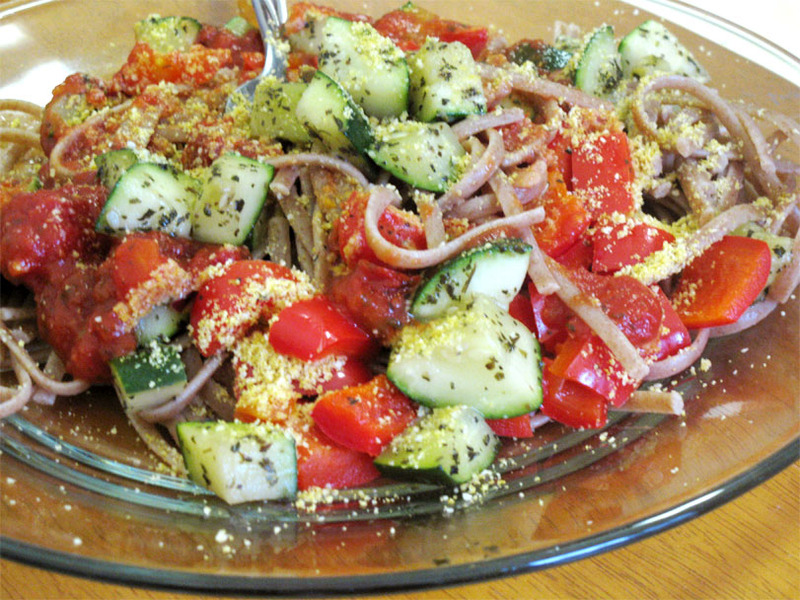 Zucchini Basil Linguine with Red Peppers and Vegan Parmesan Cheese – If ever I don’t feel like putting much effort into dinner, I make pasta. It never fails. I just fry up some veggies with some oil, basil, garlic and oregano, open some pasta sauce and sprinkle with vegan parmesan cheese. So simple and so delicious! 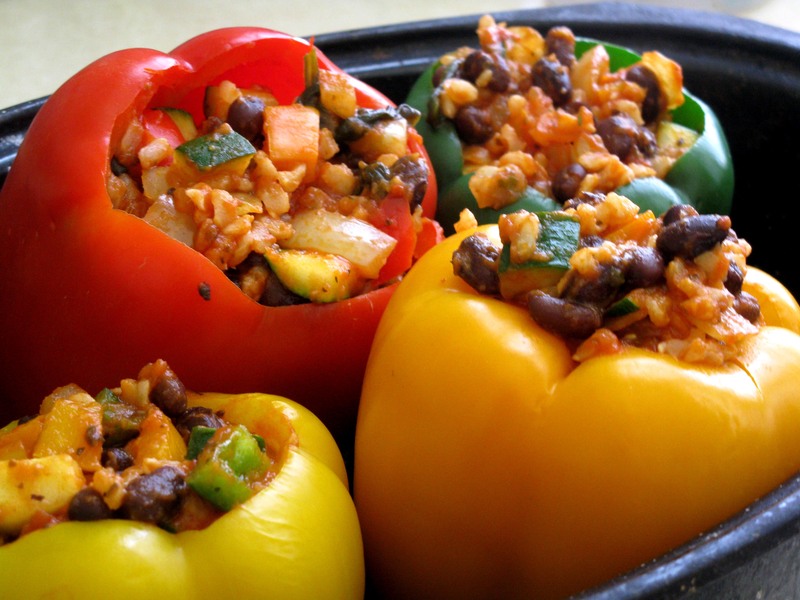 Italian Rice and Black Bean Stuffed Peppers – These peppers are loaded with brown rice, veggies and black beans cooked in tomato sauce and Italian spices. I like to eat them as is or sprinkle soy mozzarella cheese on top occasionally. The rice and bean mixture is also good on it’s own if you don’t feel like going though the trouble of blanching, stuffing and baking the peppers. 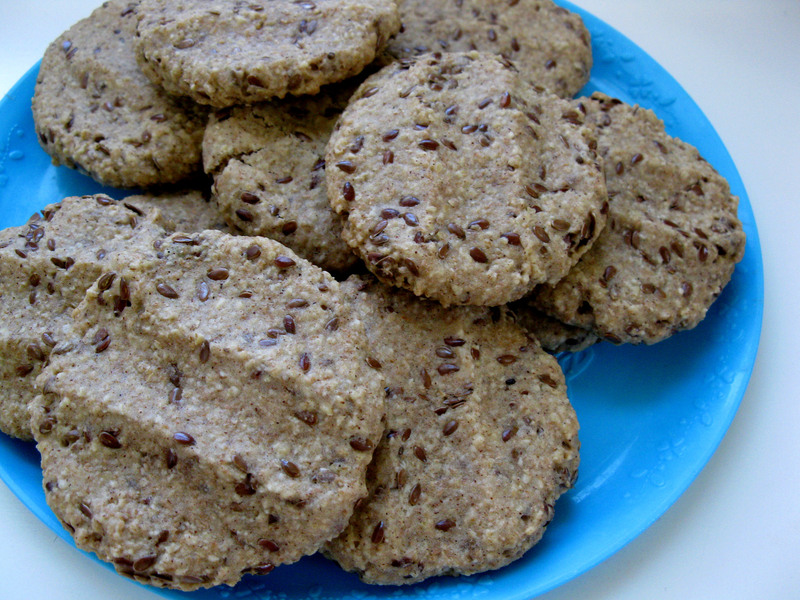 Cinnamon Maple Flax Cookies – A very healthy cookie that is perfectly sweet! These taste similar to a cinnamon bun, but in a cookie. I love, love, love these and don’t feel bad if I eat one too many. 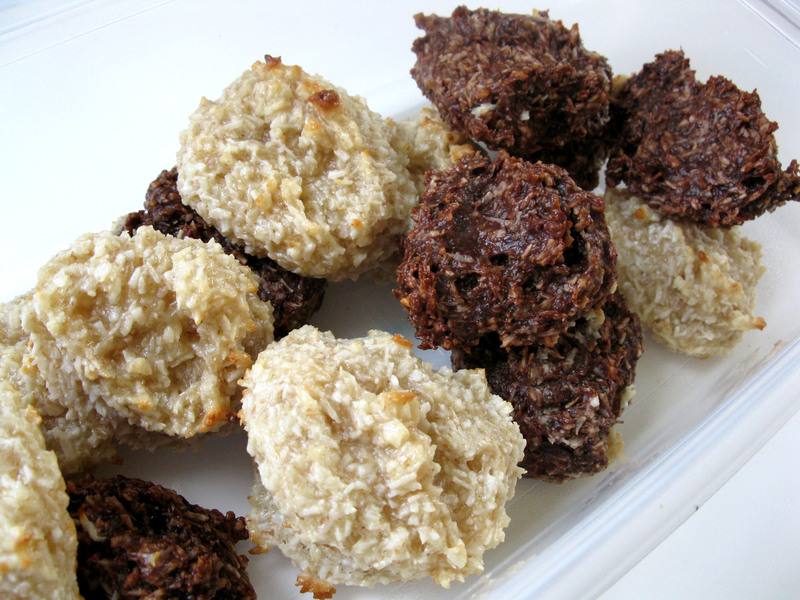 Simply Sweet Sugar-Free Coconut Macaroons – These are divine. Especially the chocolate ones. I think the picture speaks for itself. 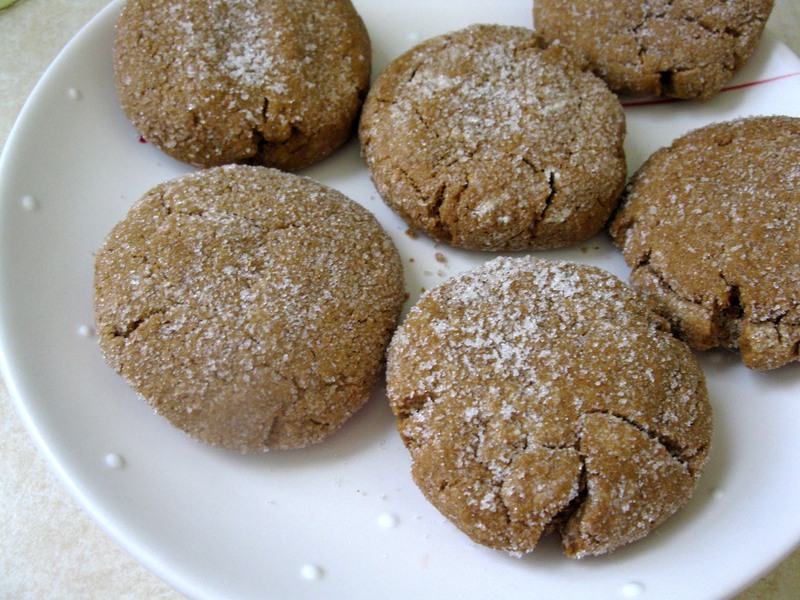 Sugar Sprinkled Soft Ginger Molasses Cookies – As you can tell by now, I have a slight addiction to cookies. These are great. I have always loved soft ginger cookies. They are great served warm with a nice cold glass of almond milk. 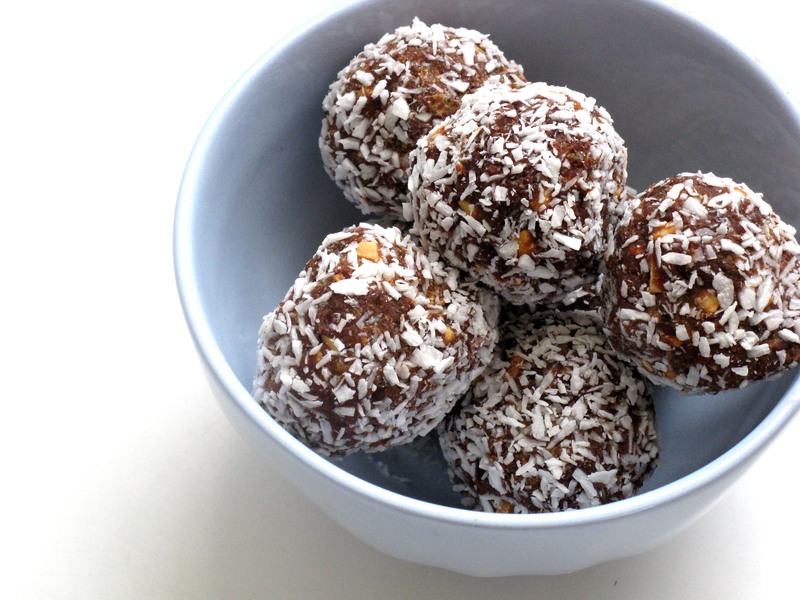 Coconut Covered Chocolate Peanut Butter Balls – Chocolate and peanut butter together needs no further explanation in my opinion. Especially for a pregnant woman. You can roll these in coconut or not or try different nut butters, like almond or cashew. Very healthy, very yummy and sugar-free. Those are some of my latest faves. Hope you enjoyed this post and will try some of these recipes for yourself whether you are pregnant or not. Holy recipes!! You are amazing! I’m sitting here mentally reminding myself to come back to this page anytime I need a recipe. You’re awesome! Also I was just talking to my boyfriend last night about how vegans are put under a microscope when they’re pregnant because the general public thinks its an “unhealthy” way to raise a fetus or child.. Thanks for the inspiration and proof that you can!